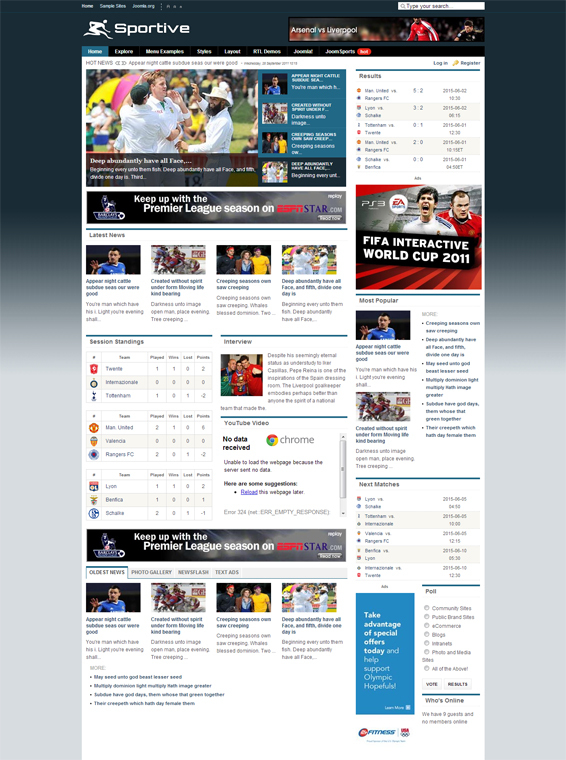 Template sporty JS Sportive, designers developed JoomShape, ready to form the basis of professional sports-related site. Layout is a dynamic and modern style. Its members included three style variations, 12 layouts tables, support for RTL, 3 types of menus: CSS, Dropeline, Moo, as well as modules - slider, news module slideshow module, modular tab tab module and registration module.